You can modify this drill to work on any type of shot you like. Shooting in stride will be a tough concept for most Squirt level players. 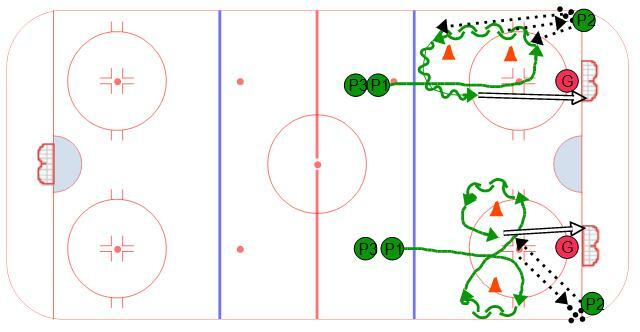 This is a good puck control drill on half-ice for 8 to 12 players. Players have an opportunity to work on three different scenarios of puck control drills before taking a shot on net. Divide the players into three lines as shown. 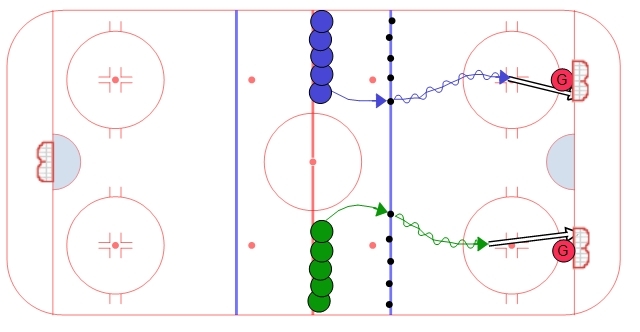 Each line will have a different puck control drill to work on. On the first whistle the first player in line 1 goes, on the second whistle P1 works their way to the slot and takes a shot and P2 begins their repetion. On the third whistle P2 finishes their repetition and takes a shot and P3 begins their turn. 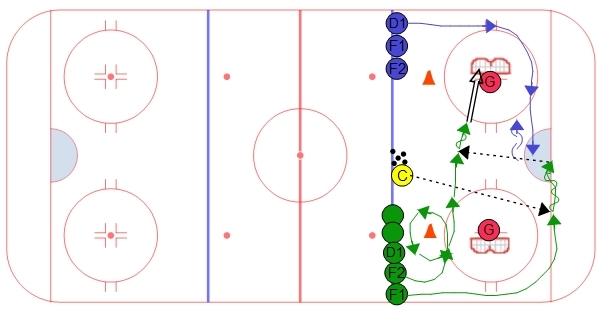 Again, on the whistle P3 works their way to the slot and the second player in line 1 starts their repetition. 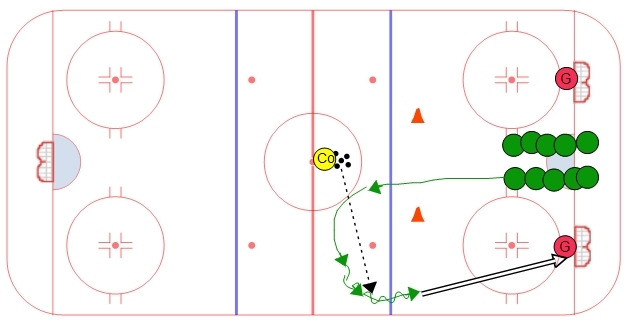 The players in line #1 have to stickhandle through the pucks and be as creative as possible. Once the second whistle blows then they gain the slot as quick as possible for their shot. 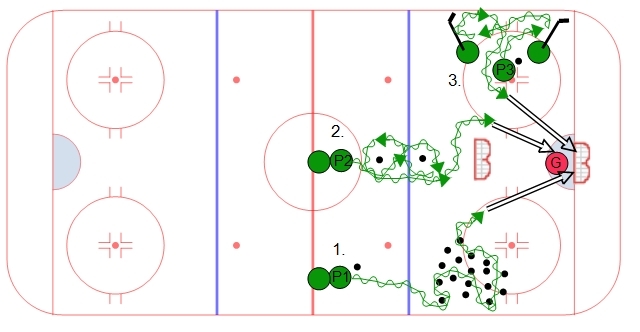 The task for players in line #2 is to do tight figure eights with good puck control. Encourage players to keep their head up especially as they come out of the control turn. On the second whistle they will protect the puck from the dummy net and take a shot on net. Line #3 can be set up so that other players act as dummy defense as shown in the diagram. The players will protect the puck while using the wall to help control the puck. On the whistle they will explode off the wall with the puck into the slot and take a shot on net.